The EURO Gold Medal is the highest recognition in Europe for scientific activity in OR. It is conferred on a prominent person or team or institution, for an outstanding contribution to the development of the discipline of OR. The award will be officially bestowed at the opening plenary session of the 30th European Conference on Operational Research in Dublin, if there is a suitable candidate. The EURO Gold Medal shall be awarded for a body of work in OR, preferably published over a period of several years. Although recent work should not be excluded, care should be taken to allow the contribution to stand the test of time. The potential prize recipient should have a recognized stature in the European OR community. Significance, innovation, depth, and scientific excellence should be stressed. To emphasize the European flavour of the Award, all societies are strongly urged not to propose a candidate from their own country. 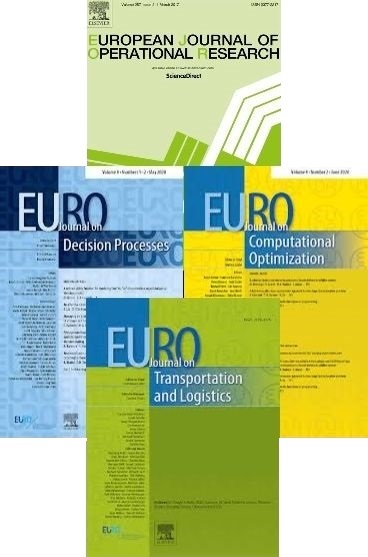 No currently active officer of EURO (Executive Committee member, EURO Gold Medal jury member, Organising and Program Committee Chairs of the 30th European Conference on Operational Research) is eligible. Nominations for the 2019 EURO Gold Medal can come from EURO member national societies, the previous EURO Gold Medal laureates, jury chairs, or by a group of respected academics within the European OR community. Individuals are welcome to forward the names of potential laureates to their national society to be considered for formal nomination. Please also check the guidelines, and a list of previous laureates at https://www.euro-online.org/web/pages/608/last-activities-list. Nominations, including a detailed CV of the nominee and a written justification for the nomination should be sent by the deadline of 31st January, 2019.